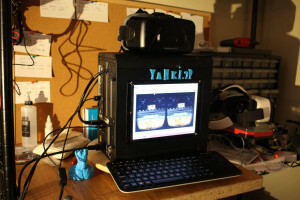 Custom VR/Dev Rig 1.0, Train Jam, and GDC! Walking Dead Game Jam Winner! I am one of the 10 winners! :D Users pardon the dust. The site is under construction so some game links are missing or are wrong but that is getting updated this week. Unholy Robo War won as part of the game jam! I just also recently presented this game at the Picotachi in Tokyo. More updates to the game and the site are coming soon! I am doing contract 3D work and dev. 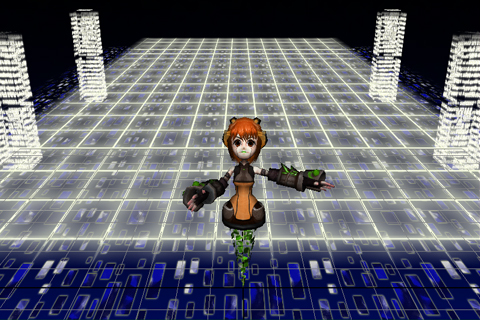 I just delivered assets for a Unity/Kinect game, an AR app, and helped on a project for SCEA. On the biotech side I just delivered a pre-rendered movie for Roche as well. Our first two games have been approved by Apple! Please check them out. 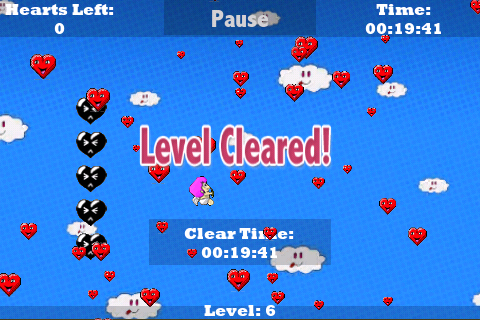 I’m With Cupid – Family arcade game with fun controls. 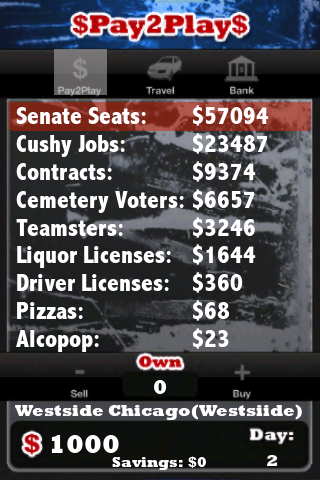 Pay2Play – Blend of Dopewars style gameplay and Illinois Political fun. After a long review process Apple has approved Pay2Play to be sold on the Appstore. After some going back and forth and sending a new binary to Apple it was approved! So what changed? Made the UI buttons react better for larger purchases. So you are getting the real deal here! So please rush out and pick up a copy for your iPhone! If you don’t have an iPhone tell your friends about it! Help keep us full-time indie so we can release our next action shooter game: KillerApp. 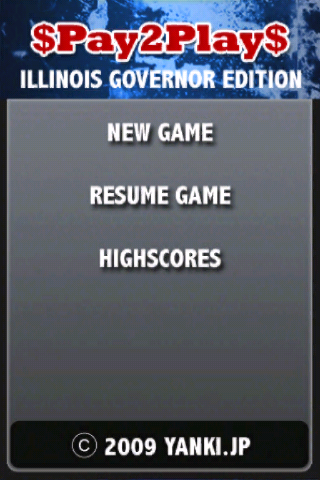 The Illinois Governor trading game has been submitted to Apple for approval. This is our first game and games 2 and 3 are a week from being submitted as well! In the meanwhile check out the product page! 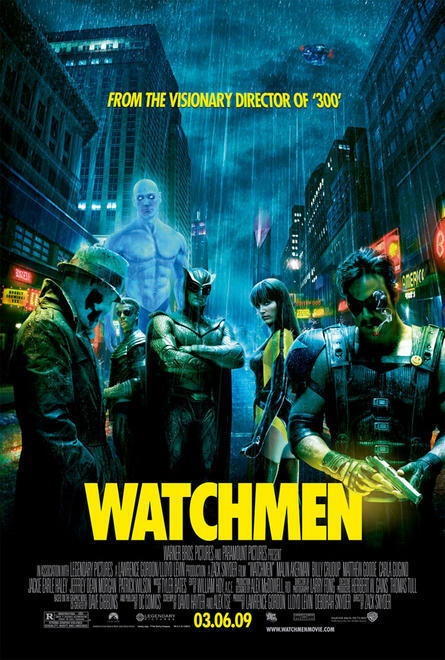 Here is the final promotional poster for the film “Watchmen”. Working on the film was a great experience (and a little tiring at times. hehe). One shot in particular was the Owlship crashing into the ice cliff thats in the Japanese trailer(Its in the Comicon trailer as well). This was done at MPC Vancouver while being a freelance FX artist there. Please check it out in March.